“Ontario is aging faster than ever before with older people in Ontario now outnumbering younger ones for the first time in our history. Across Ontario, there are now more than two million seniors and their families trying to navigate this next phase of life as best they can. Our shared challenge is to find out what works best, what comes next and what it really means to age with confidence, respect and dignity”, stated the Ontario Action Plan for Seniors ‘Aging with Confidence’. In response, we are pleased to announce that MIAG is approved for a two year seniors active living initiative titled ‘The Dazzling Seniors’ – a new and exciting program funded by the Government of Ontario. The program is free and it features three activities, Nordic Pole Walking, Yoga, and Line Dancing. Seven rounds of ten sessions each to be offered from June 2018 to March 2020. These rounds will take place in Mississauga at MIAG, Etobicoke at the Rexdale Women’s Centre, and in Brampton at the Indus Community Services. 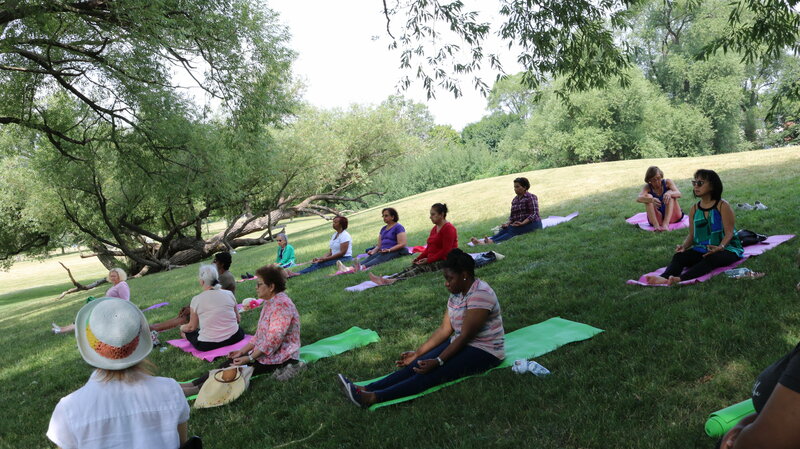 That goal is to encourage visible minority senior communities in Peel and surrounding areas to come out, connect, and be involved in active living program in a healthful manners. 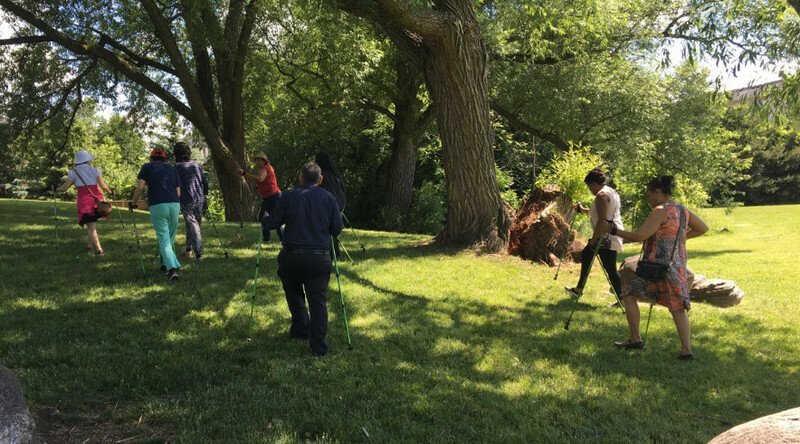 The featured activities are hosted by instructors and in addition to health benefits, seniors are having fun by participating in the Nordic Pole walking in this beautiful weather, as well as inside and outside yoga, and dancing as the weather permits.